Scotrail has today clarified the cost of tickets for the first trains to run on the new Borders Railway – and the company says they can be purchased as from Friday. 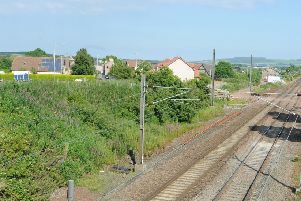 The tickets were supposed to be available as from Sunday, but keen prospective travellers were shocked to find single tickets priced at £27.25 – based on the cost of travelling from Galashiels to Berwick by bus and then by train to Edinburgh. However, on the cost system shown above and on their website, it shows that a single to Edinburgh from Galashiels will be £9.30, an adult anytime day return ticket will be £14.90 and a weekly season ticket under £60. Scotrail has apologised for the “automated system error”, and said that anyone who has bought one of the bus link tickets and wish to travel with it, their ticket will be honoured. However, it also stated that if wished, a full refund, without the usual admin fee, will be paid. Anyone who has purchased a ticket at the wrong price will be able to change it by contacting Scotrail on 0344 811 0141.